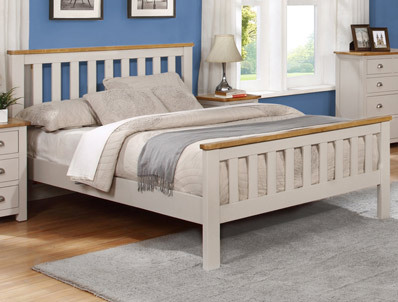 The Copper is another new bed frame for 2019 from Sweet Dreams and offers an Acacia Hardwood bed frame in either painted white or painted grey with solid oak top panels on both headboard and footboard. 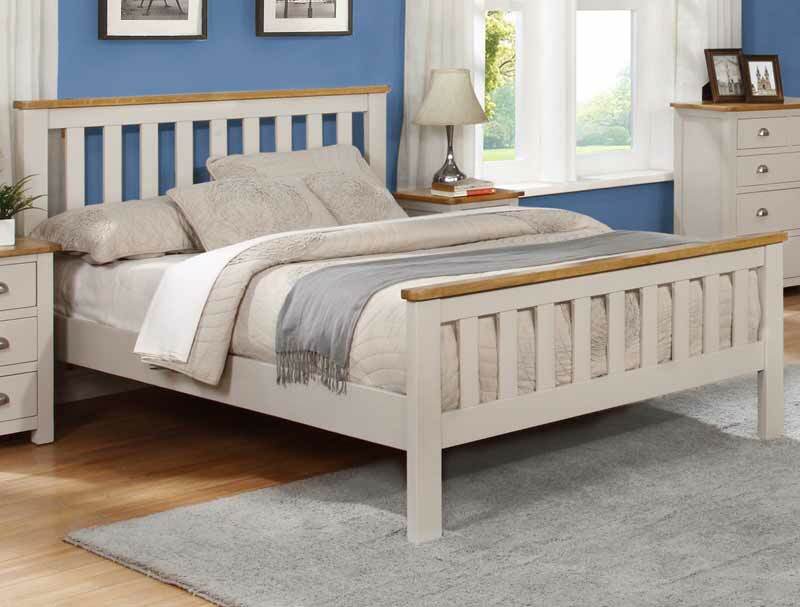 This super value bed frame is available in three sizes single, double and king size and comes flat packed with solid straight pine slats for home self-assembly. 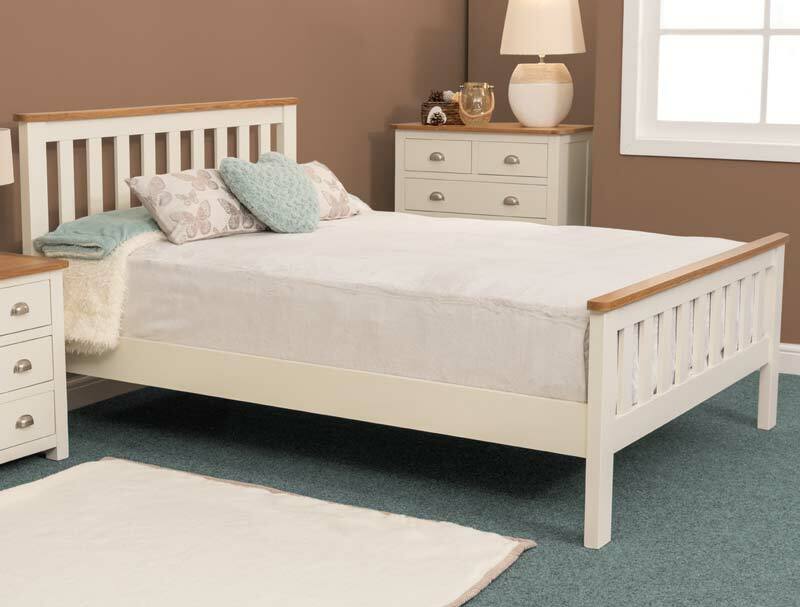 The Copper bed frame is available with a range of matching furniture which is composed off solid oak tops, MDF veneered oak and Acacia internal walls and sides with a waxed finish. Furniture available include 3 drawer bedside, 5 drawer and 6 drawer chest, blanket box and 2 door 1 drawer wardrobe. The bed frame and wardrobe are delivered sectional all other pieces are ready assembled.